The entire team at the Mercure Strasbourg Palais des Congrès hotel wishes you a warm welcome! Please note that our covered swimming pool will be temporarily closed for annual maintenance May 6-16, 2018 inclusive. Thank you for your understanding. 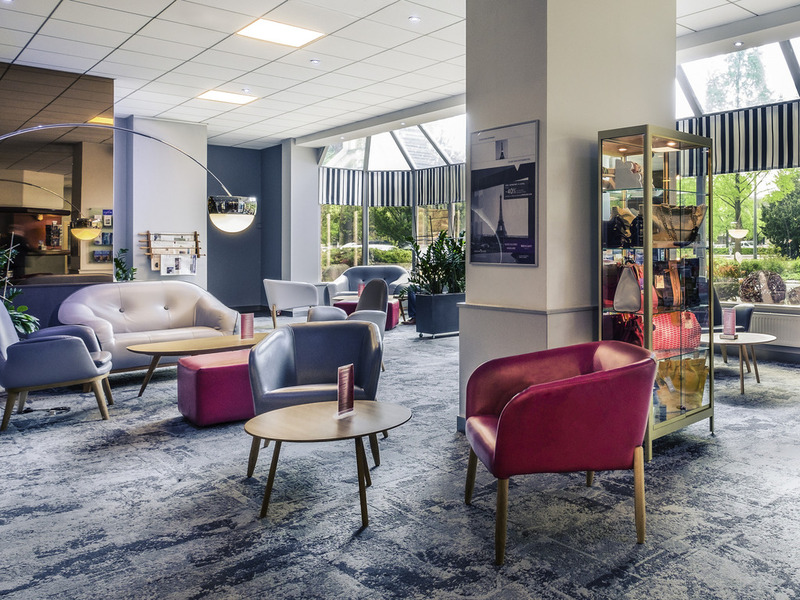 Only 5 min by tram from the historical city center, the Mercure Strasbourg Palais des Congrès hotel has very spacious rooms, in direct proximity to the European Parliament and the conference center. A lounge bar is at your disposal to meet friends or colleagues for relaxation or work. Unwind in our fitness center by taking advantage of our indoor heated swimming pool or sauna. With its Gothic cathedral and picturesque "Petite France" district, Strasbourg is one of the most beautiful cities in Europe. Enjoy your business or leisure stay and explore the region. Dear guests, our fitness and wellness centre is available during your stay free of charge from 06:30 to 22:30 without interruption. The pool will be closed for its annual maintenance from the 3rd until the 13th of January 2019. Discover our restaurant which offers a unique experience for a delicious and convivial moment. Staged in an original and creative decor, enjoy our gourmet and exclusive cuisine served in a live music dimension. Rock, pop, jazz and soul inspire the decor. Take a musical journey from express breakfast to lunch and on to evening drinks, enjoying our trendy cocktails and Pica-Pica late into the night. 오래되고 낡은, 시내에서 거리가 좀 있는 호텔. 4인인데 매일 수건을 2인만 가져다줌. 매번 프론트 전화해서 부탁해야 했다. 조식 식당이 무슨 3성도 안되는 곳 같아서 놀람. 프랑스 첫 여행이었는데, 조식 수준에 많이 실망했다. 커피머신에 커피를 눌렀는데 매번 코코아가 나왔다. 에스프레소를 따로 눌러 마셔야 했다. 다녀본 노보텔/머큐야 중에서 제일 나빴었음. 조금 오래된 것 같지만 깨끗하고 넓은 방 안락한 침대. 조식, 청결, 전경, 친절도 등등 전반적으로 매우 만족합니다~~~~!!! !